The Galaxy S8 Event Poster Has Leaked! We are expecting a dedicated Galaxy S8 announcement to take place at New York and London on March 29th. A poster for the event has been leaked. The poster shows off the dual curved edge display design with the minimized bezel. 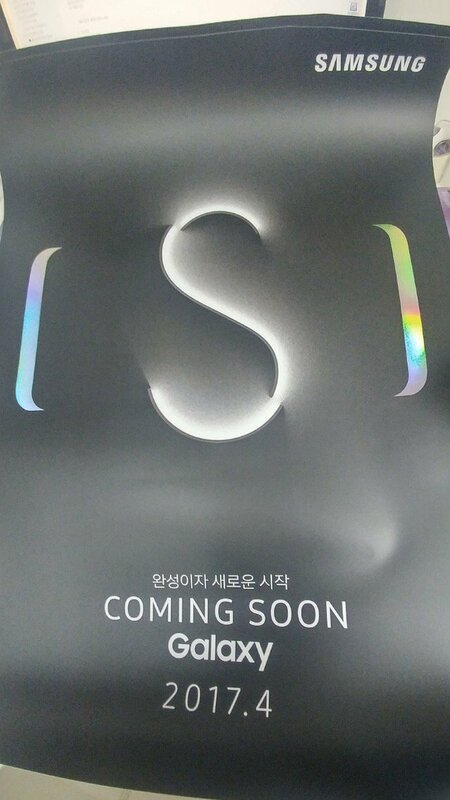 The large S in the middle of the phone drives home the fact that this event will be dedicated to the Galaxy S lineup. A date of March 2017 can be seen towards the bottom of the poster with the Samsung Logo in the top right hand corner of the poster. The device is expected to release first in the US and South Korea on April 28th with pre-orders possibly going live on April 7th. This will all be confirmed in a few short weeks. The S also doubles as an 8.